If you are injured after a car accident, you may be wondering if you should take an ambulance ride to the hospital. Taking an ambulance ride is not something you’ve probably thought about until you are severely hurting. 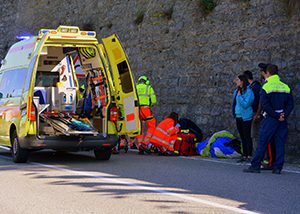 If your injuries from the car accident are severe enough, you will not even be asked if you would like an ambulance to take you to the emergency room. However, if you are conscious after the crash, a responding officer or emergency personnel at the crash scene may ask you if you would like an ambulance. Many people hesitate to take a ride in an ambulance because of cost. 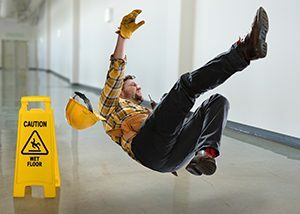 However, even if your injuries do not appear severe immediately, you could still be seriously injured and taking an ambulance to rush to the hospital could be a good idea. In any case, if you are in doubt as to if you are injured enough to take an ambulance, do it. The following are some signs that you should take an ambulance. If you’ve been injured in a car accident due to the negligence of another driver, contact the experienced car accident attorneys of Parke Gordon Law Firm in Eugene, Oregon. 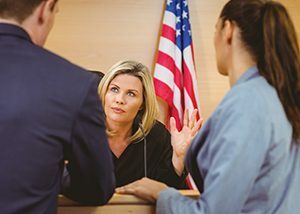 Our law firm will fight for every penny you deserve. Let us take the stress out of your case by handling your medical bills, lost wages and negotiating with the insurance companies. Parke Gordon Law Firm believes every client deserves fair compensation against big insurance companies with deep pockets. Call our Eugene law office now for a free case review with an experienced and trusted car accident attorney. Call us now at (541) 485-4878.